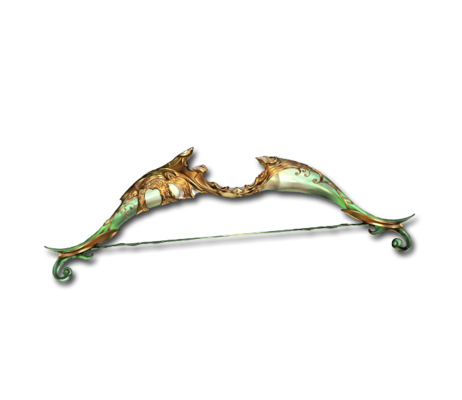 A colossal bow with countless legends, its emerald body glitters when bent and shimmers like no other when an arrow is loosed. Unworldly (900%) damage multiplier (Damage cap: ~2,010,000). Slayer of Immortals II When main weapon (MC only): Damage skills activate twice. 40% boost to skill DMG and 20% boost to skill DMG cap.